Performers on the Friends of Chamber Music series provide a wealth of educational opportunities for South Florida musicians of all ages. These include master classes and lessons given to musicians from the University of Miami, Florida International University, Miami-Dade County public schools, and the New World School of the Arts, among other organizations. We regularly encourage South Florida music teachers to invite their students to our events as our guest, so that they can enjoy the experience of hearing the world’s finest chamber musicians in South Florida’s most intimate concert hall environments. Concerts presented by the Friends of Chamber Music have frequently been held on the campuses of the University of Miami and Florida International University, which are within walking distance for hundreds of South Florida’s most promising college musicians. 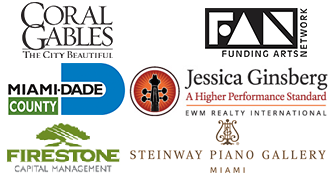 South Florida music teachers and administrators are always invited to contact the Friends of Chamber Music to learn about opportunities during the season that may benefit their students. For more information, please the Friends of Chamber Music by clicking here.